Giving order to your packets lets you see what is working well, what might not be working well, and explain real issues you're experiencing. It can help you see issues where you didn't know you had issues. 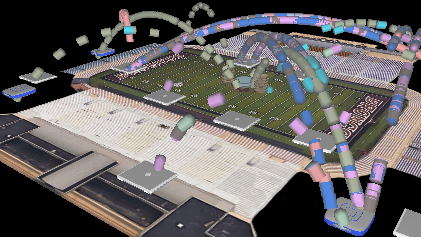 And it can help you decipher what exactly is going on when two wireless stations communicate. It lets you view your traffic like your watching TV on a DVR--forward, backwards, in slow motion, or paused. 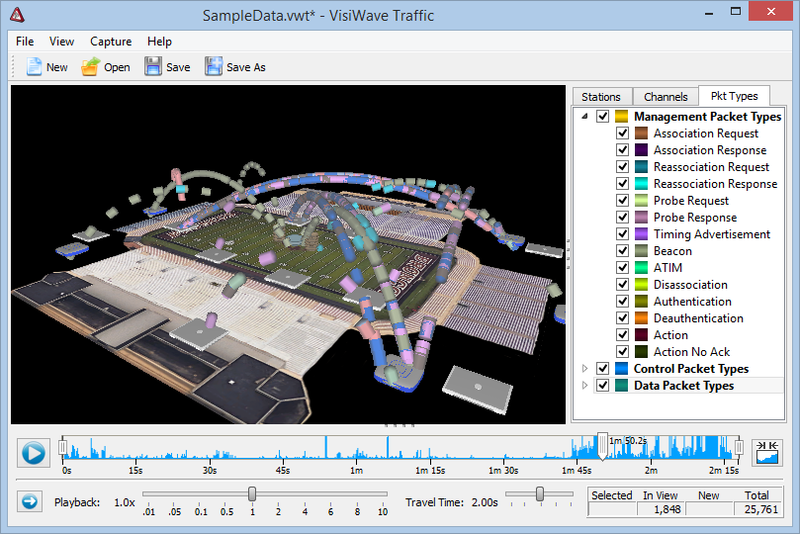 VisiWave Traffic is focused on only dealing with traffic as it leaves one radio and arrives at its destination radio. The life of the packet before and after that isn't the focus. 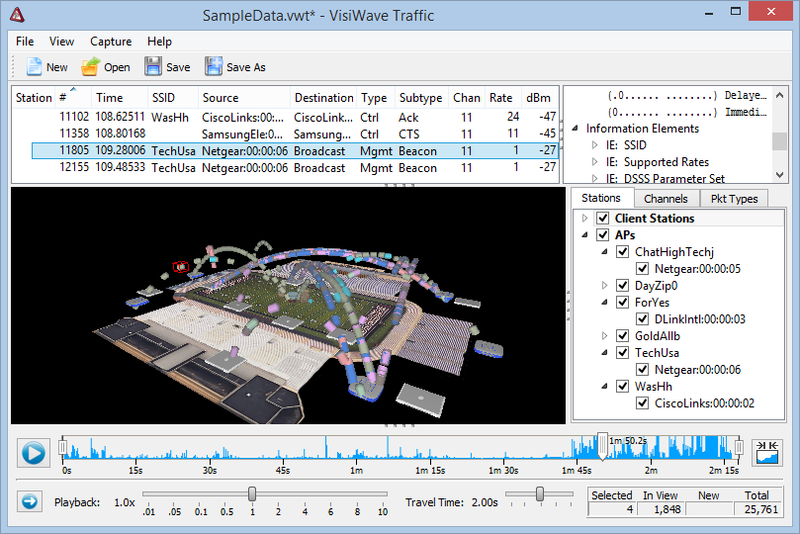 Because of this, VisiWave Traffic isn't necessarily a replacement for a packet analysis program such as OmniPeek or Wireshark. But instead it can be used to enhance them and give order to a packet's life over the air. 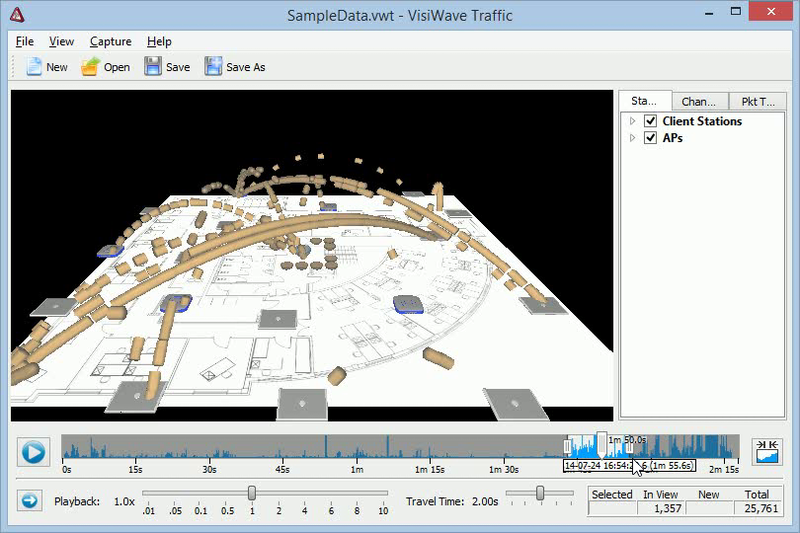 See what VisiWave Traffic can do by watching a series of short video tutorials. Quickly learn how to use the basic features of the product by reading through the many tutorials. Each tutorial describes a different area of the product.